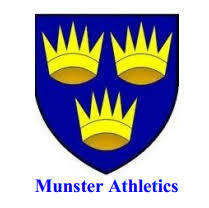 The Munster Junior, U23, Senior, Masters, and Juvenile Combined Events take place over the next two weekends. First up are the Junior and U23 on the 6th and 7th followed by the Seniors and Masters on the 14th. Closing date for entries through the club for the Senior and Masters is Monday 8th. Click here to register Click read more to view the full schedule.